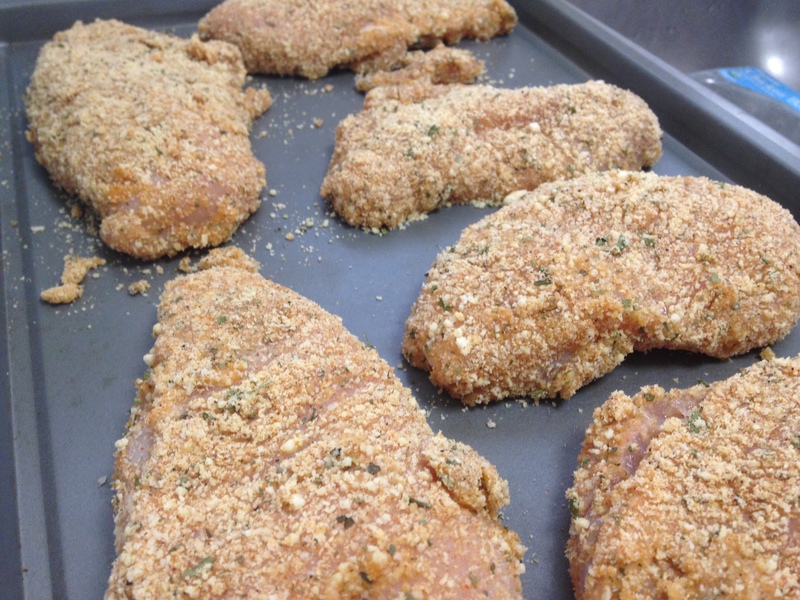 Almost Crusted Chicken Recipe – Jen, Jo, and Paleo! Ok, so I was somewhat coerced into writing this post by my loving gf, but here it is! Do you want GAINS? “Of course, Joseph. What kind of question is that?” Then you’ll want to add chicken to your arsenal of protein. 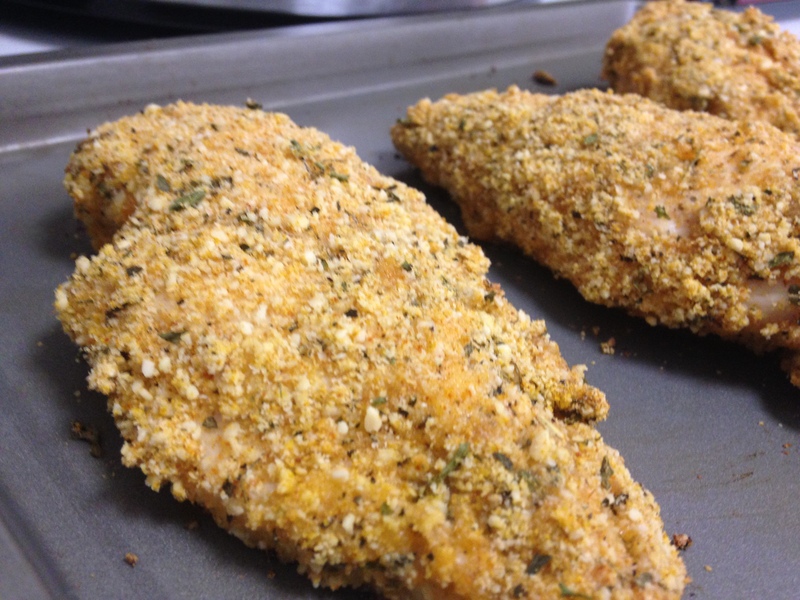 Chicken breasts/thighs are a great source of lean protein. They’re easy to make and a lot cheaper than other meat sources. They go a long way when it comes to meal prepping, unless you just eat them all with no remorse, which I sometimes do (ask Jennifer or any of my previous roommates). You’ll want to stick with white meat as it is less fatty. Enough of the intro, this recipe takes about 30 minutes to prepare, more or less. Preheat the oven to 375 degrees, and grab 2 bowls. 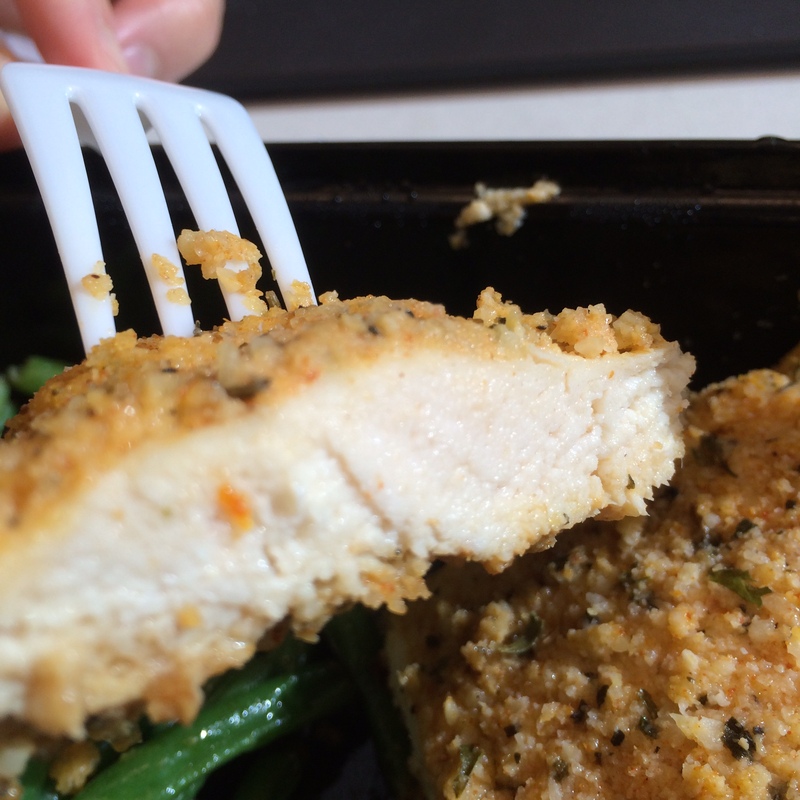 Set aside your chicken breasts for now (cut them if needed). 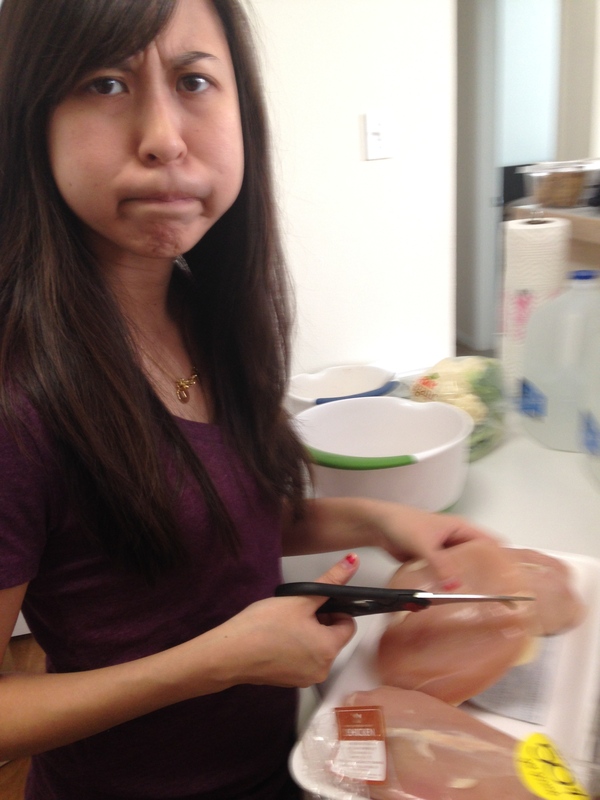 Beautiful gf cutting the chicken breasts. 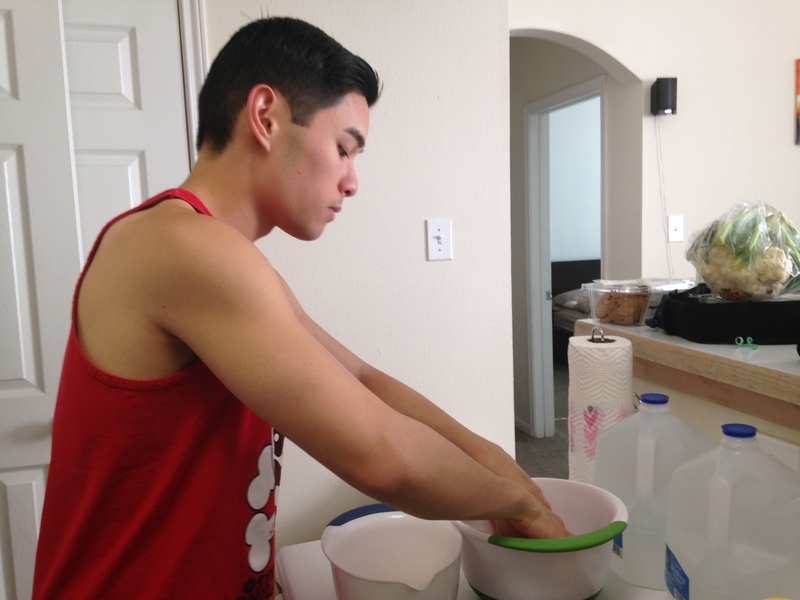 Put raw egg in one bowl. In the other bowl, place your ½ cup of almond flour and 3 tbs. 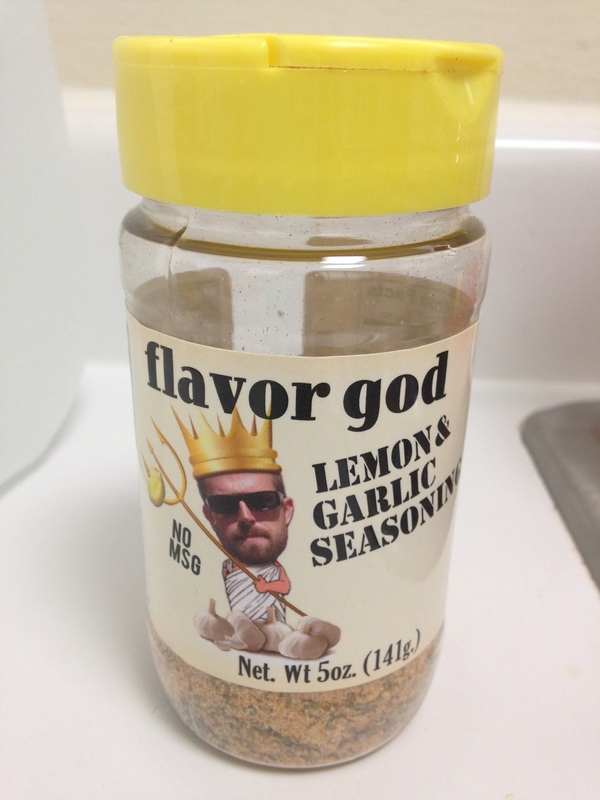 of FlavorGod seasoning (my favorite is EVERYTHING SEASONING SPICY, sorry future digestive system). We used Lemon Garlic Seasoning for this batch, but my favorite is Everything Seasoning Spicy. 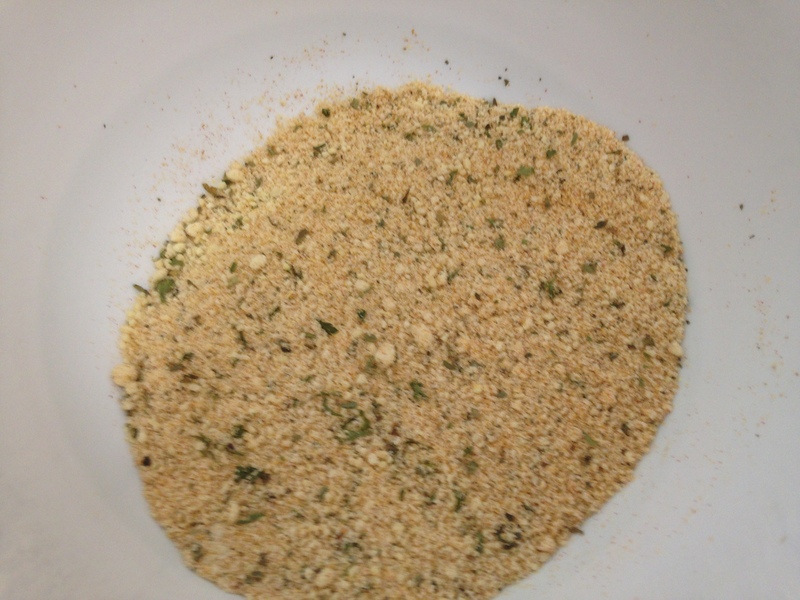 Mix the flour and seasoning, and be sure to break apart at clumps. Make sure to smooth out any clumps in the almond/seasoning mixture. Place the chicken into the egg bowl to coat it. 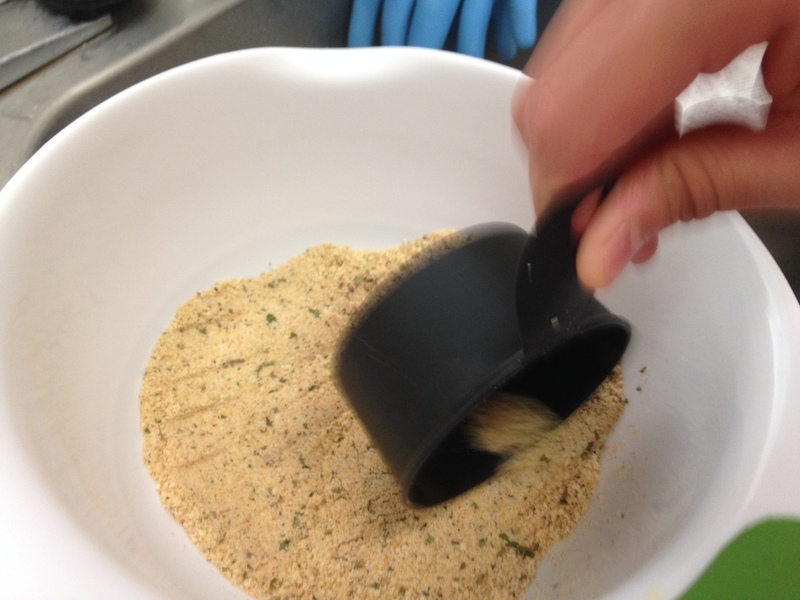 You’ll then place the egg-coated chicken into the bowl with the almond flour and seasoning mix to give it a thin almond coating. Thoroughly coat chicken with egg, making sure to shake off excess egg before dipping in the flour mixture. Put the chicken on a baking sheet (with or without parchment paper) and place in the oven for 20 minutes or until fully cooked. Before placing in the oven – baking sheet does not need any spray. After baking in the oven for about 20 minutes. THAT’S IT! It’s fast and easy. If you want to double the amount of chicken you make, just double the ingredients. Moist on the inside, even when microwaved a day later for meal prep. Double the ingredients for meal prep. 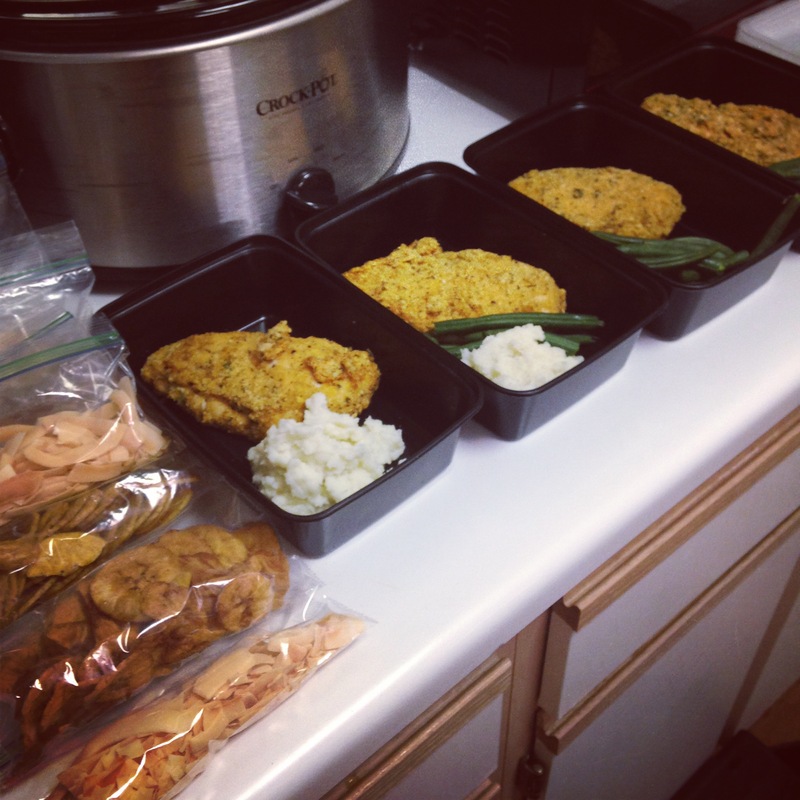 Meal prep shown with garlic mashed cauliflower. Be sure to hashtag #jenjoandpaleo when you cook with a recipe inspired by our blog! We thank everyone for their support! 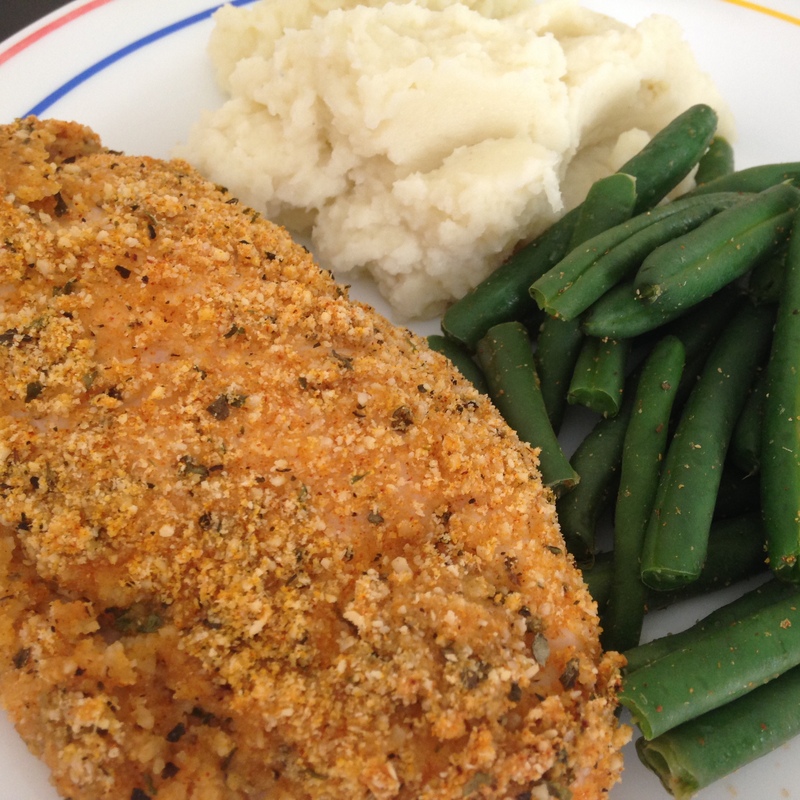 Almond crusted chicken breast served with steamed green beans and garlic mashed cauliflower.